and change the way you feel forever! If you’re fed up of your body now and want to make the critical changes to get your body into shape once and for all you’ve found yourself in the right place, and what better time to make it happen! We specifically help people just like you lose unwanted fat, improve your confidence and become happy from the inside out. Imagine yourself as the life and soul of the party, slipping into the clothes you REALLY want to wear and creating a body YOU didn’t even think was possible. Where the training is fun, challenging and you get to meet and train with a group of like minded people. Fill in the form below if interested and one of my awesome team will be in contact within 24 hours. Only apply if you are 100% dedicated to really changing your life. All sessions are aimed at working with you to maximize your strengths and realise your potential. My training mantra is “Sadistic with a Smile” but this is tailored to you as an individual and some clients whether male or female, prefer a determined but patient approach. Valkyrie provides the opportunity, convenience and flexibility to train in your home, work place or local park. 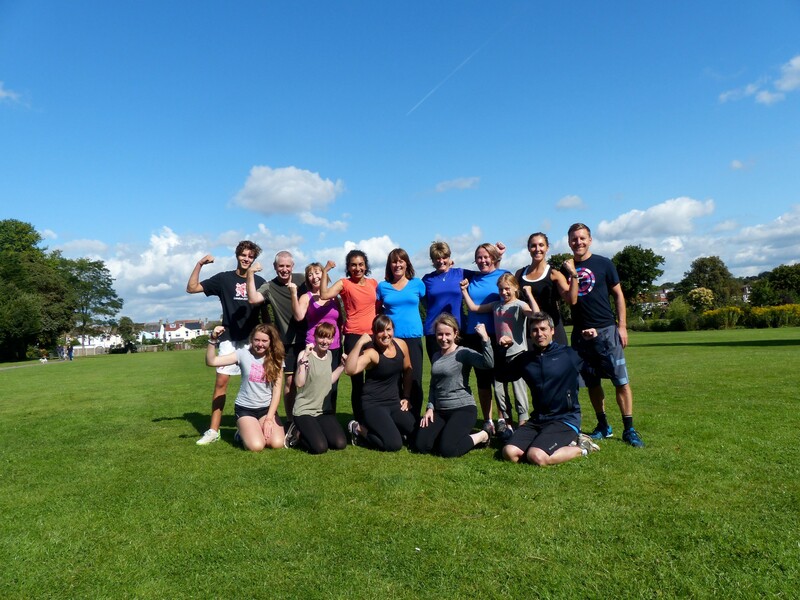 Outdoor training, commonly referred to as Bootcamp, is an excellent way to exercise with an eclectic group of people, who will encourage, motivate and inspire you to achieve your potential. It is well known that outdoor training gains excellent results because of the affects it has on your muscles, cardio and respiratory systems. Sports massage treatment affects the body on several levels, namely physical, physiological and psychological. It can make the difference at top level sport between victory and defeat. It can prevent many injuries and where they do occur, sports massage, when used correctly, provides an ideal environment for motivation and confidence when returning to sport after injury. Appointments are available throughout the London Borough of Bromley and all surrounding areas. 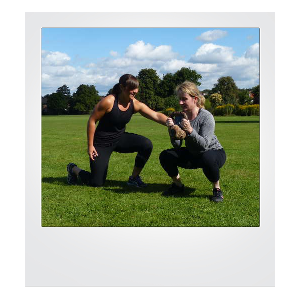 Valkyrie vouchers make the perfect gift – available for personal training, group training and massage. For more details on packages and sessions please call 07973 483314 or send me an email via the contact page by clicking here. I turned to the notion of Personal Training as gym’s were no longer working (meaning: always a reason not to go). Booking one hour a week was the catalyst I needed to start getting back to a sense of fitness. The initial sessions were a real wake-up call; the aches in the following days a reminder to how far I had slipped. This kicked me into adding a few runs in between weekly sessions and then bootcamp came along! Two all over body workouts (which are always different) has given me the desire to adopt a more ‘healthy’ lifestyle and has resulting in dropping a stone in weight and counting. I train with Hannah on a regular basis. 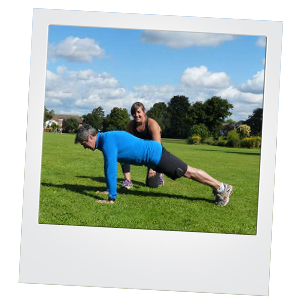 I have one to one weekly personal training at home and I join in the group Saturday morning bootcamp that she organises in the park. Both of these sessions are well structured, tailored to my personal goals and above all enjoyable. Hannah’s advice and encouragement over the past few months have boosted my fitness and stamina levels and combined with dietary advice has also resulted in me losing a few excess pounds. I am very pleased with the results! Hannah has been my personal trainer for oneyear. She listened attentively to my problems as I have recently had a ligament replacement in the knee. So Hannah has thoroughly researched this condition and applied her research to include appropriate exercises in her lesson plan, so that there is still a building up of the muscle groups but no harm done. She is punctual and cheerful and flexible re times as I can't always make the time as I am a psychotherapist. She never criticises me, is very encouraging thereby helping me to stay the course. She has given me good dietary advice with good results ensuing. She came very well recommended by a friend who had worked with her at the gym. I at that time could not face returning to a gym. I disliked exercise and I really disliked gyms. In fact I was a gym hater. Now I really look forward to our weekly meetings. I really recommend Hannah as a personal trainer. Copyright © 2019 by Valkyrie. All rights reserved.